Oh, you did now? By accident, of course. I guess you better grab a broom and sweep out that piece of M*nd*y outta here! 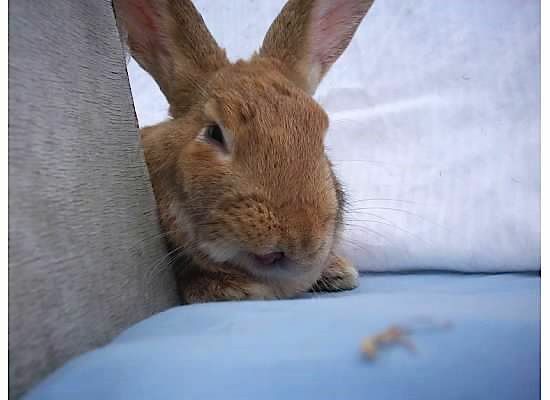 NOTES: Fern is a bright, beautiful and head-strong girl who is looking for a family that understands a bunny needs time, patience and a gentle touch to earn her trust. Fern has not been treated very well during her life pre-BHRR but we are slowly showing her that there are lots of people who understand her fear and will let her decide when she’s ready to share her heart. Fern would also be a great candidate for a lonely boy bun looking for his soulmate. Rabbit savvy home preferred. Try to get it all while yur at it?